Before you commit your deposit money and a mortgage to buying your new home, there are a few ‘must ask’ questions to ask your real estate agent. Being prepared to ask these will ensure the home you buy is the home for you. Price and value are two different things. This said, price is how most of us assess the value of a home. Before you commit to paying an asking price, you should find out about the value of the property. Ask for details of recent sales in the area: prices, time on the market, and paid prices versus advertised prices. This knowledge will give you a much deeper knowledge of the current market, and help you make the right offer. What’s wrong with the property? When you see the home of your dreams, it’s easy to get carried away. Your view may be clouded by the potential you see and the vision of your future. Always ask what problems there are with the home. Ask to see any survey results, and especially ask these questions if the seller seems desperate to sell. Don’t forget that problems with homes don’t have to be confined to the property itself – there may be problem neighbours, or a busy road planned nearby. Are there any repossessed homes nearby? The first is that repossessed homes are usually cheaper, which means you could benefit from competition on price. The second reason is more fundamental. A lot of repossessed homes could mean the area you’re looking at is suffering a localised economic decline: buying here might not be the best option for your home purchase. The first rule of home purchase is location, location, location. Make sure you ask about the area into which you are planning to move. Are there schools, shops, and other amenities nearby? Are there any problem roads, or municipal infrastructure planned? What about local industry, offices, and shops? All of these issues will be important to you, not only for lifestyle today but also for the potential for future resale values. It’s always best to deal with people that know their market and have experience in it. Buying a home is the biggest investment you’re likely to make, so make sure your real estate agent has a history of satisfied customers. Ask them about their experience in the local area, and how long have they been serving the local community. 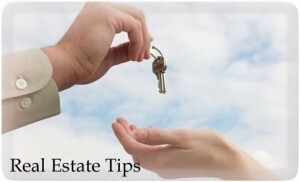 Finally, you should always make sure that your real estate agent is a member of a competent association or governing body, such as the Real Estate Institute of Australia (REIA). Are there any offers on the table? Is there any possibility of negotiating on price? What is the lowest price the sellers will accept? 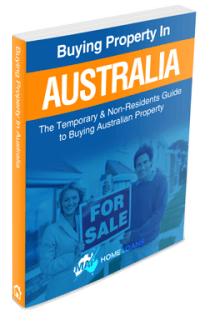 If you are interested in finding out how we can help you buy a home in Australia, please enquire now for a free and no-obligation phone appointment.